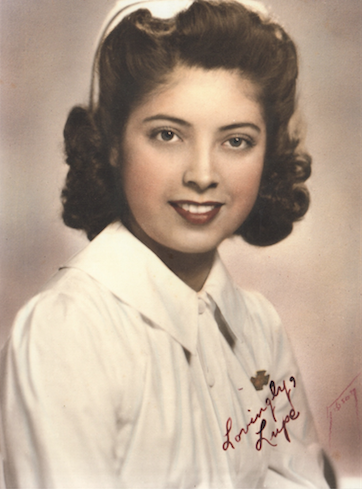 Born in a boxcar in 1923, Guadalupe Smith (nee Almaguer), known affectionately as Lupe, emerged from humble beginnings to spend her life giving back to the community of Monmouth. As a Hispanic woman, Lupe put most of her energy into bridging the gaps between the city's newly diversified population. According to family and friends, Lupe was incredibly proud of to be a part of the Monmouth community, while she also took great pride in her Mexican heritage. Her position as a cultural liaison emerged organically over the span of her life, as she dedicated her free time aiding the growing Hispanic population with issues ranging from dealing with language barriers, to finding employment and housing.